On my client intake form I ask, “On a scale from 1-10, how satisfied are you in the following areas”. I list 9 topics of wellness, and “Energy” rarely gets a high score. I’m not surprised. The busy women I work with, don’t have much wiggle room in their schedules! You may get the recommended 7+ hours sleep, but with a 6am wake up call, it’s easy to feel drained in the late afternoon. There are different ways to tackle your personal energy crisis, and what you eat is a big one. As I say with everything in health and fitness, there’s no one thing to eat or one thing to avoid that will be a magic bullet. And that’s OK! There are small changes and tips that will maximize your energy levels and don’t require drastic or unrealistic changes. 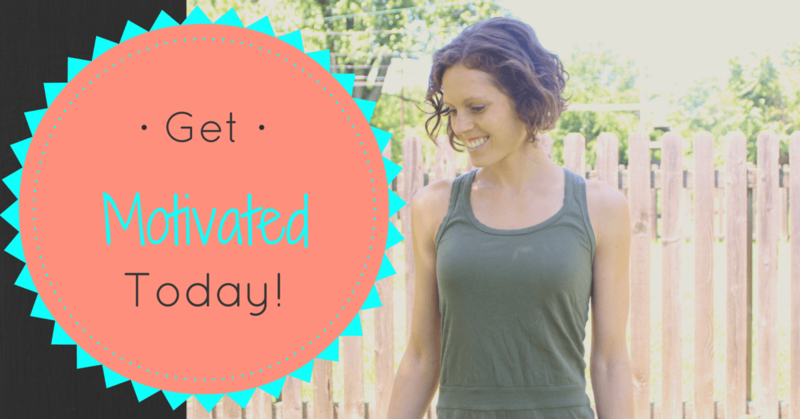 Here are my tips to maximize your energy level through nutrition, along with actionable strategies that fit your life! I immediately shared a meme, “I’m sorry for what I said when I was hangry”, because I related so hard! 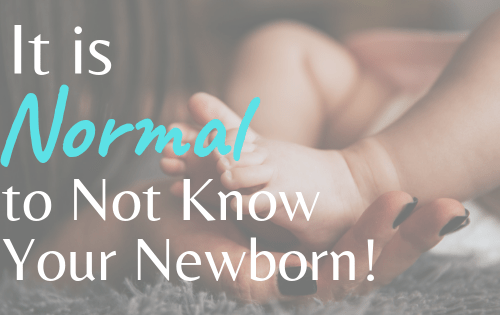 When you go too long without fueling your body, it’s not just your eyes that start to close. You lose patience, brain power, creativity, and productivity. I see this with many women who are so hyper focused on everything else, they see it’s 3pm and realize their stomach is growling because they never stopped for lunch. Or, they consciously skip meals to “save” calories. Either way, this sets you up for an energy drain. When you haven’t eaten in a while, and your body is scraping by for energy, it tries to conserve energy where it can and slows your metabolism and other functions. Your brain functions off sugar, and when you haven’t given it adequate fuel, your blood sugar drops leaving you feeling sluggish. On the flip side, stuffing yourself silly is a recipe for a nap (i.e. food coma) by sending your body into overdrive, leading to impaired insulin function. How: Pay attention to hunger cues! The caveat here is that how often you need to eat differs from person to person. We grow up with eating times determined for us – from breakfast before you’re rushed to school, lunch squeezed into a 20 minute window between certain classes, and dinner based on when your parents feed you – never stopping to feel how hungry or not hungry we are. 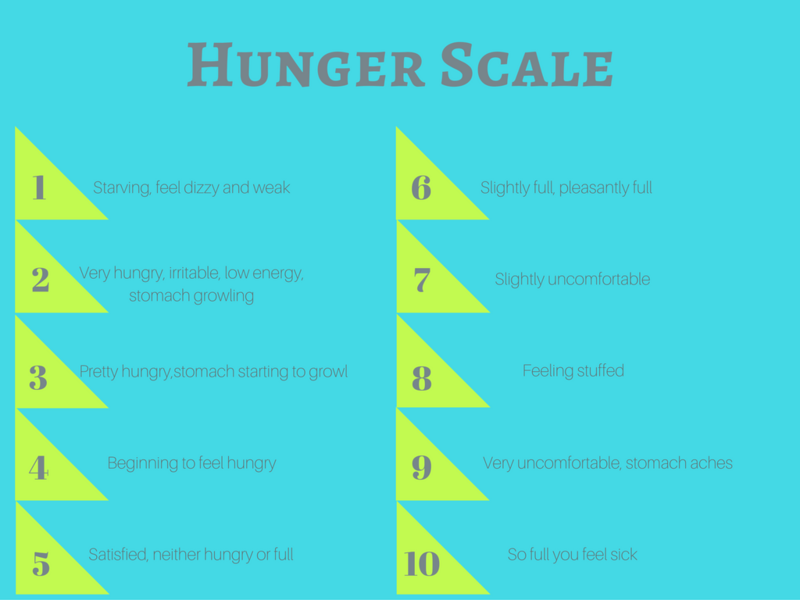 What I go over with my clients to help avoid the dreaded hanger crash, is the Hunger Scale. On the scale, 0 is starving/dizzy/weak and 10 is overstuffed to the point of sick. To keep your energy and blood sugar on an even keel, knowing your personal hunger cues and food needs is crucial. 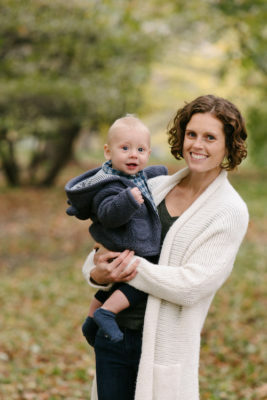 For more on learning your hunger cues check out this post, and for a truth bomb about hunger (and why it’s not a bad thing!) listen to this episode of Rebooted Body podcast! Starting your morning with something in your tank is key. You aren’t a “breakfast person”? You aren’t alone! I challenge you to reframe how you view breakfast. You don’t have to sit down to a large meal, you don’t have to eat “breakfast food”, and you don’t have to eat immediately upon waking for it to count. A whole grain English muffin and peanut butter on your commute counts as much as a sit down meal of eggs, center cut bacon, and whole grain toast. Find what works for your stomach and routine and commit to eating whole foods in the first few hours of waking for a full week and see how you feel! Check out this post for more healthy breakfast ideas. Snacking will keep your hanger at bay, and energy up through the afternoon slump. They key here is making sure you have energy boosting snacks on hand. Go for portable and stock up for both home, the office, and items for your bag and car. My go-to’s are raw nuts, string cheese, lean jerky, and apples. Buy in bulk and divvy up into smaller baggies for easy transport. Click here for more smart snacking tips! Constantly consuming low-nutritional processed junk won’t give you the energy boost you need. 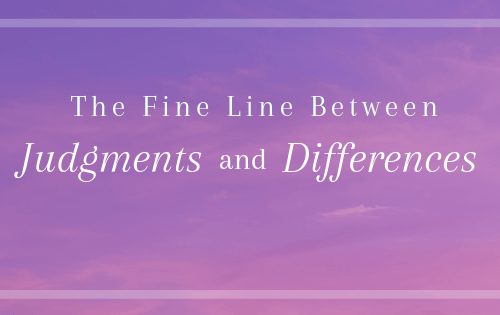 While everyone is different in the foods that agree with their system, generally you want to focus on nutrient dense, high antioxidant real foods, while avoiding highly processed and highly caffeinated products. At the highest level, your body primarily breaks down carbs (glucose) and fats to create ATP, which our bodies use as energy, while protein is primarily used to build new proteins which help maintain and build muscle (when absolutely necessary protein can be used as a fuel source, but like I mentioned above, we want to avoid breaking down muscle for fuel!). With that said, you want to be selective over the fuel you give your body. 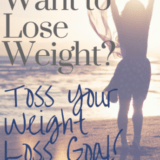 Simple carbs – sugary cereals, white bread and pastas, doughnuts, etc. – will be used to create energy, but it’s burned quickly and creates a blood sugar spike, leading to a crash. Whereas high fiber, complex carbs like those found in vegetables and whole grains, are digested and burned slowly giving you lasting energy and keeping your blood sugar in an optimal zone. Fats are satiating as they are processed much slower than carbs and they have twice the caloric/energy value per gram. Like carbs, you want to look for the right ones. Those high in omega-3s like raw nuts, avocados, coconut and olive oil, grass-fed butter, are an excellent source for energy, whereas trans fats should be avoided. How: Place priority on quality of contents not quantity of calories. 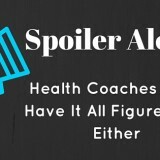 It’s easy to get caught up in the nitty gritty numbers – calorie counting, macro counting, etc. – but it’s then that we don’t see the forest because of all the damn trees! Put your energy into swapping more whole nutrient dense foods, for the filler packaged items that are regulars in your diet. If you used instant oatmeal packets, try quick cooking oats. If you’re eating a plain bagel with cream cheese, swap it for a whole grain English muffin and mashed avocado or nut butter. The more veggies, lean protein and complex carbs you can incorporate the better you will feel. 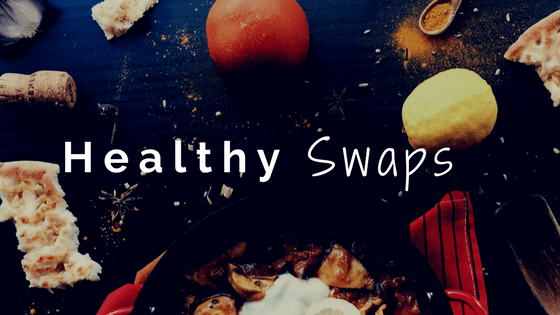 Click below for my most used swaps, and here for my Kitchen Staples shopping list! Also, ditch the “energy” drinks and copious amounts of coffee! I routinely have one cup of caffeinated coffee in the morning, but that’s it. Constantly pumping yourself with caffeinated beverages will lead to a jittery crash and is highly acidic. The artificial energy spike will have the opposite effect, leaving you more exhausted and wired. 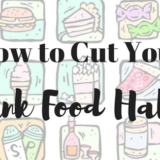 This post is packed with ideas on how to maximize your eating habits for more energy, but don’t let it overwhelm you. 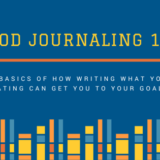 Read through the links as you have make time, and try one or a few changes like focusing on hunger cues, arming yourself with healthy snacks, or swapping your morning large mocha latte and pastry for a regular coffee and yogurt with nuts and berries. Most importantly, stick with whichever change you start for a week before evaluating the effects on your energy and overall health. When do you most need an energy boost? 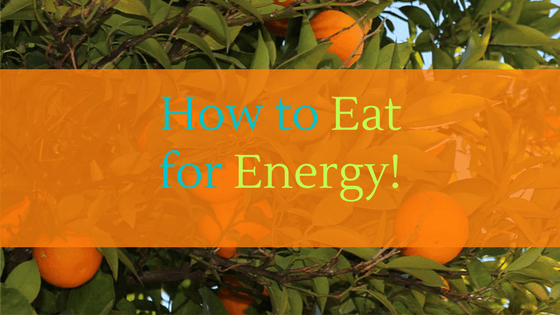 What do you eat now for energy? Which of these actions will you try this week? 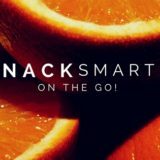 Snack Smart on the Go! 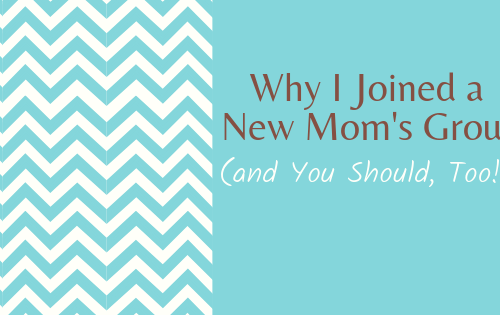 Great post Samantha! Adding breakfast was one of the best things I did to increase my energy. I used to say my favorite breakfast food was coffee because that’s all I’d ever have. When I added in a protein and a fruit every morning grab-n-go style, I’ve seen my mornings get way better. Great advice through out but that one is one a biggie! That’s great to hear, Amanda, and thanks for sharing such a realistic tip to make breakfast work even as a busy business owner! I started hard boiling 5-6 eggs at the start of the week so I can grab one and go for a morning or afternoon snack, super easy and so much protein!